Airship 27 Podcast #19: Dead Man’s Melody & Cape Noire! Airship 27 Podcast #20: Mr. Jigsaw Goes to Hawaii! 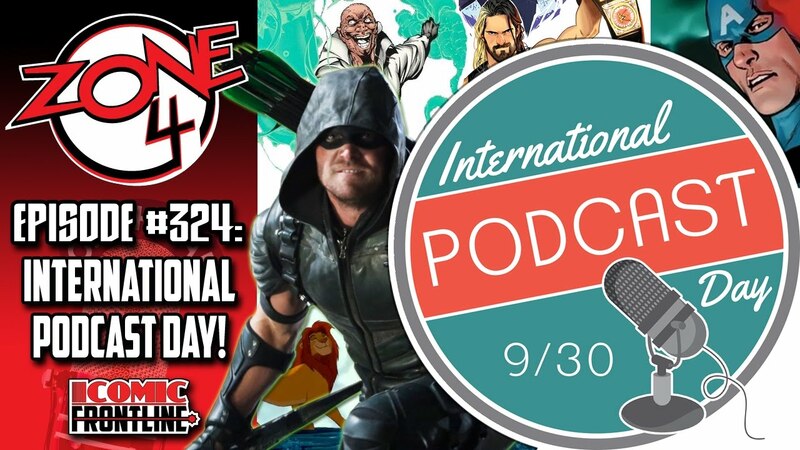 Zone 4 #391: International Podcast Day! The Zone 4 crew returns for International Podcast Day! We discuss a bit about podcasting and how we got into it, which podcasts we listen to, and more. We also discuss some comic book headlines, like the events of Titans #3, Captain America: Steve Rogers #5, the impact those issues have on their respective universes, Arrow, Agents of SHIELD, Lion King, and much more! Plus, we give some Facebook Shout-Outs, talk about what’s going on with us, and have a lot of fun!